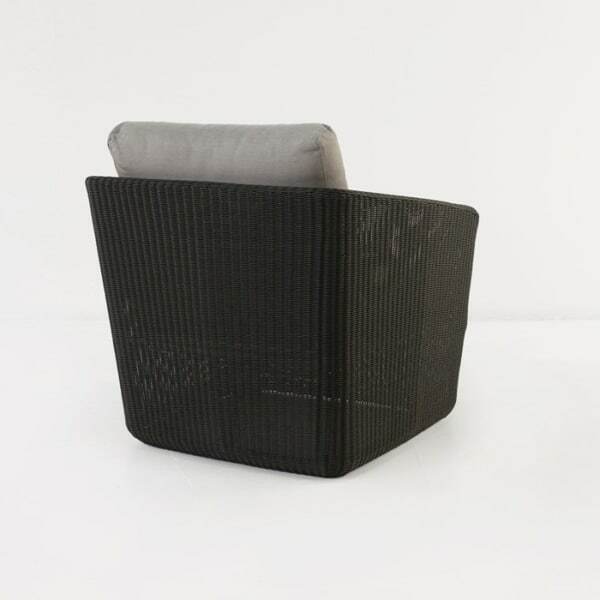 This contemporary club chair is a fantastic addition to any space, with the beautiful styling and the stable, comfortable seating area. 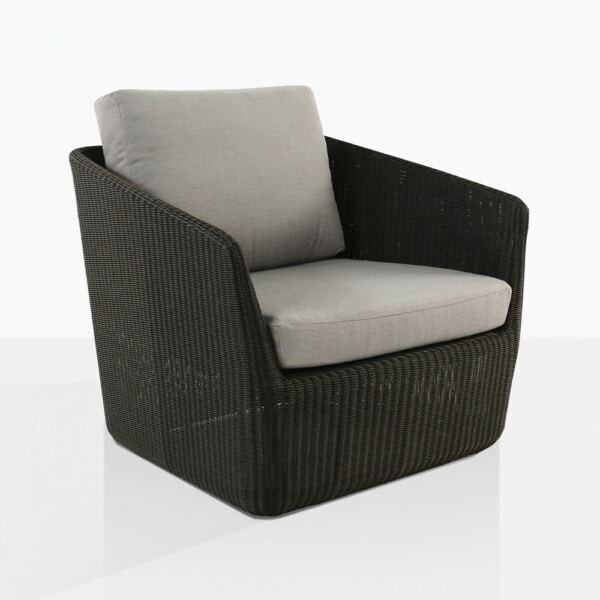 The bold style of this wicker outdoor chair is complemented by the strong but lean look of its features. 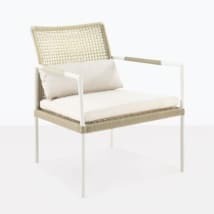 The thin, strong framework holds up a deep, comfortable seating surface that gives a very urban feel to this gorgeous outdoor chair. 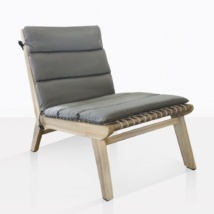 This is a statement piece for so many different areas, regardless of the dominant styles existing in that space. 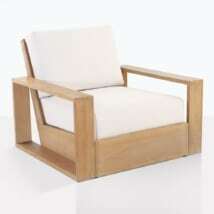 This chair has a quality of timelessness, as well as distinctly contemporary style. 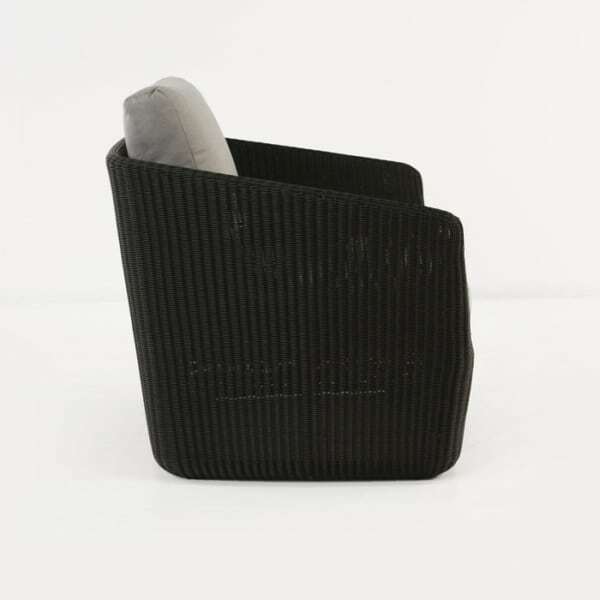 A tightly woven cover of dark synthetic wicker covers a lightweight but wide and stable framework made from powder-coated aluminum. 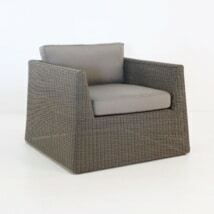 This outdoor relaxing chair is available in two colors Mocha and Charcoal. 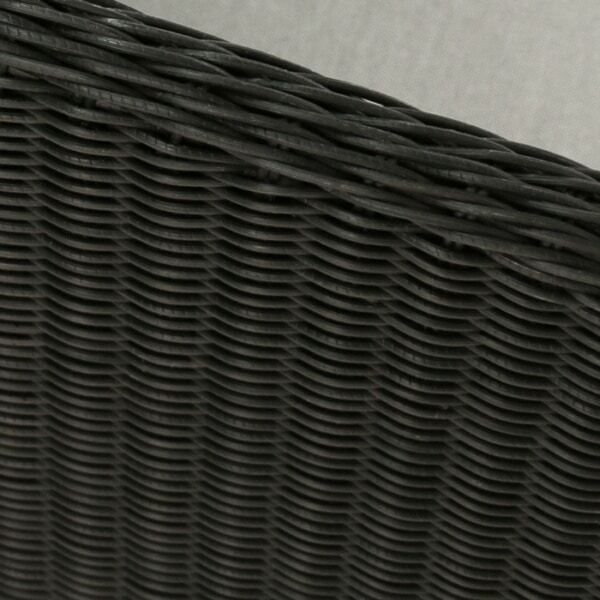 Shown here is the Charcoal, which includes cushions as shown.